Volcano: The Blast Coaster is a former roller coaster at Kings Dominion. It is now closed. The minimum height to ride is 54 inches. Volcano is an inverted LIM-launched coaster built around a man-made Volcano that occasionally erupts with fire, smoke, and sound effects. 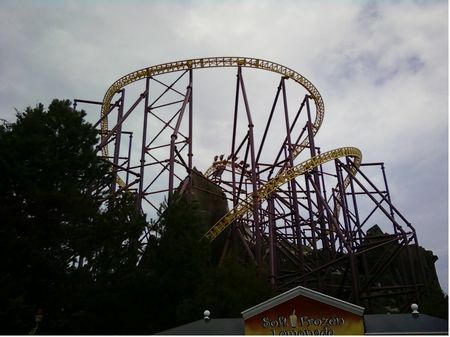 The park announced after the 2018 season that the coaster would be removed.